I've been a 'gym rat' most of my adult life. Every Monday was back and bi's, Tuesdays chest and tri's, Wednesday was legs . . . take Wednesday off! I loved being at the gym and doing bench presses and biceps curls. In December of 2008 a couple of my hockey buddies were doing some crazy pull-ups and burpees routine. They told me it was a CrossFit workout and invited me to try it. I did and nearly died (or thought so) but was hooked. By June of the next year we'd opened our own 'box', South Tahoe CrossFit, and began to grow. Right from the start we were interested in the CF Games. In 2009 we journeyed to the Ranch to watch the Games. The next year I competed in the 1st Regional Master's competition in Southern California. I didn't make the Games that year, and shoulder surgery kept me out in 2011. I set my sights on 2012 and managed to barely get past the Open (dang double-unders! ), but made it to the Games in Carson. Somehow I hung around all weekend and pulled out a close win in my age group (55-59). It was truly a thrill to go to the Games and end up winning! It's been an amazing 'ride' since the Games and I've enjoyed meeting many new people and getting involved with wonderful companies like HI-TEMP! 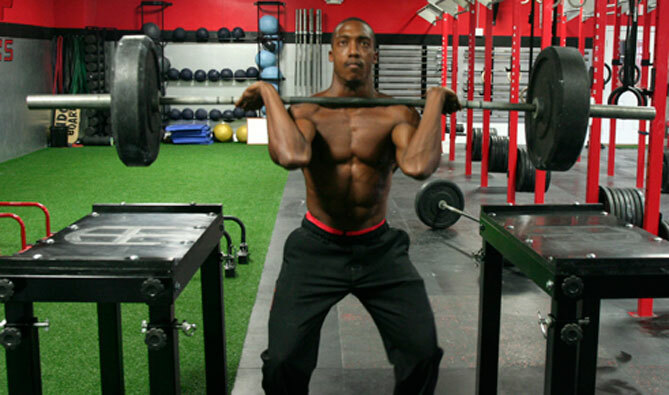 Tim Anderson is an Affiliate owner of Crossfit 6250'. Corey Reed currently resides in Southern California, where he was born and raised. Growing up, Corey participated in traditional competitive sports, playing baseball and waterpolo for his high school team. However, his passion always lay in action sports, due to the freedom and thrill it provided him. But nothing gave him as much of a thrill as snowboarding. He boarded with reckless abandon, taking trails that most would balk at. Free-riding, he forged his own trails, simply so that he could hear the incredibly piercing silence and experience the peaceful solitude that only a snow packed mountain could offer. And always eager for a thrill, he tested the limits in everything he did. At age 23, Corey was involved in a near fatal car accident which left him completely blind and a right leg amputee. Once his physical and mental recovery was complete, Corey was determined to reignite his previous passions. Driven to not let his disabilities hold him back, Corey is now training to compete in paralympic snowboarding as well as adaptive wakeboarding. 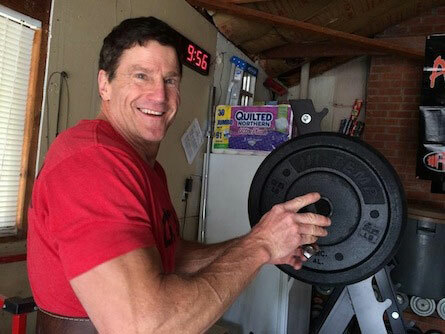 Utilizing crossfit for his training regimen, he has been inspired to add competitive crossfit and triathalons to his growing list of accomplishments. 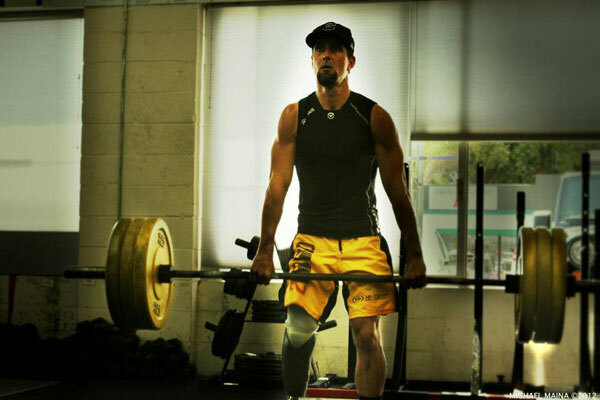 His success as an adaptive athlete is not only self-rewarding but he hopes that it can be a tool to inspire hope and strength in others. "It's important to live the choice," Corey says, "Good or bad, we have to live with the choices we make. There is nothing wrong with making bad choices. What really matters is how we choose to overcome the affects of each choice." Crossfit has developed my motivation and determination to become a solid, well-rounded athlete. Wakeboarding, snowboarding and action sports have always been my scene. I have taken Crossfit as a way to enhance my performance in both sports. The challenging training I have experienced through Crossfit workouts have allowed me to build up the strength and confidence to take my passion for wakeboarding and snowboarding to a level of top performance. Crossfit has made me realize there are no barriers. Yet after the tough, disciplined training I endured I rediscovered my own personal strength and confidence. I felt inspired and motivated to tackle any sport, or obstacle in life. I was a college gymnast... KIDDING, but I wish I had been now that I'm doing CrossFit. I was a collegiate basketball player at Pacific University in Stockton. Over the years I've stayed active, and have loved cycling, rock climbing, martial arts, pretty much anything and everything. About 18 months ago I was introduced to CrossFit, and knew I had found something special. Later that day, when I was able to get up off the floor from my first WOD, I joined the box. Fast forward to July 2012, and I was fortunate to be a participant in the 2012 Games, and got to meet and compete against some amazing athletes. Rubbing elbows with the bigs and actually seeing the top open competitors up close and personal was an amazing high! At the games, I ran into someone (Jack Cambra of Fitness Gone Bad Hawaii Kai) who introduced me to Chuck Rumbley, president of Hi-Temp. I was floored when Chuck graciously offered to sponsor me. I'm a teacher, and during the school year it's difficult to get to the box everyday, so I train about half the week out of my garage. It was like Christmas when 400 lbs of Hi-Temp bumper plates showed up at my door, with one really unhappy UPS guy hauling a giant pallet. Since then, we've made great use of them. My coach is opening his own box, and the last month or so a bunch of us have been lifting out of our garage. It's been wonderful having Chuck's support and the bumper plates have worked flawlessly. Being able to work Oly lifting on an almost daily basis is really helping those lifts. 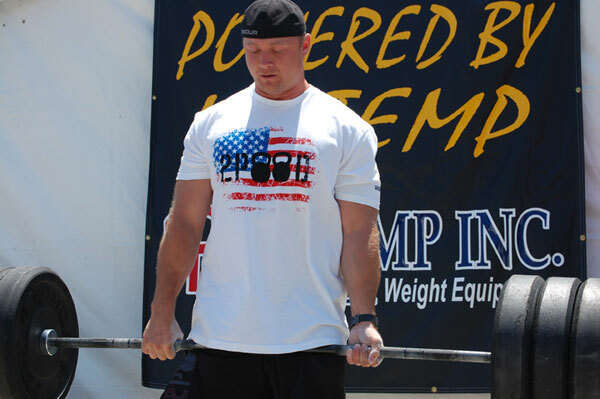 Really appreciate Hi-Temp's support and everything Chuck does for the CrossFit community. I began crossfit and was terrible, long story short I told Rich Fronning I wanted to be better and whatever you do I’ll do, “Don’t Leave Me Out”. In this time I’ve met some great people and incredible crossfitters who have coached me, programmed for me, and I WORKED HARD to get to where I am!